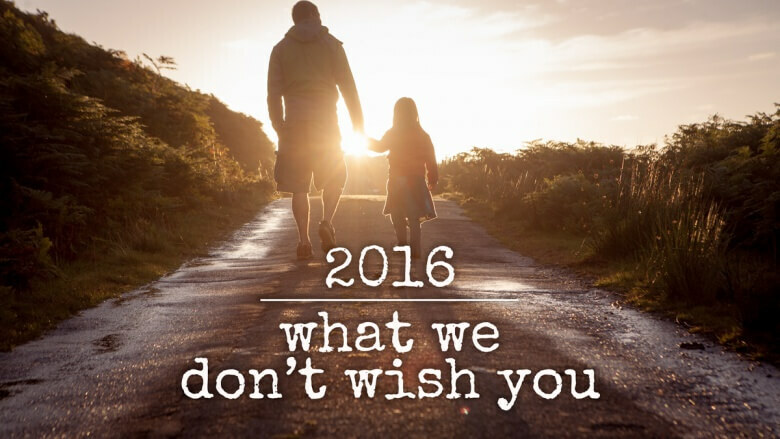 2016 what we don’t wish you! People say that it’s good to experience everything in life, just in the right amount and in a right time. But what if we try to focus in 2016 on the better things? What we don’t wish you for the next year is… to be afraid. – of the unknown, of the others. 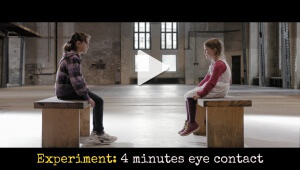 It’s normal and it’s human – to be afraid of what you don’t know. But let’s try to get closer to knowing, to the knowledge, to the experience. Let’s read, let’s meet and let’s think. Do you think it was so easy for us to invite the first refugee home? No, it wasn’t. We also had doubts. But we experienced being hosted in the most poor houses in the world, people gave us their keys (if there even was a key!) and shared with us everything they had. And after the first, second or fifth guests – this fear goes away. If you become friends, if you learn from each other. And I see it every day: when bringing my friends, or friends of friends, or even my old uncle – to the refugees’ camp. Knowledge and experience. What we don’t wish you for the next year is… to be passive. If you want something, if you believe in something – just go for it. There are millions of excuses in this world: one might say: “I’m too old”, another one: “I have a baby”, somebody else: “I’m not the right person for this”. Also don’t be passive in fighting for the things you believe in. Don’t let the others talk badly about your disable brother, ugly friend or somebody simply different. People, let’s have balls, when somebody goes too far. Let’s react. By being passive we just make it worse. What we don’t wish you for the next year is… to forget about the important people. Your family, your friends – they all need your love and attention. The relationships don’t grow just like that. Wish you to spend time together, but really spend, have common memories, together meet new happy and sad situations. Nothing is more beautiful and more valuable that spending the time together. Probably that’s why we love our family travelling so much – because then we are really just for each other. It’s much easier to have it, when we are away from all the duties and laptops. Our 2015 was a bit crazy. Actually not much of travelling, Hanna has started her school and Anna was working a lot on her book (out at the beginning of 2016!). But we also had our small-big successes: we became the first Polish bloggers ever, who were the The Family Travel Blog and Panasonic Lumix Cooperation of a big company and we collected (with help of huuuuuundreds of Polish people!!!!) almost 3000 sleeping bags for the refugees in Berlin from Poland in need in Berlin (plus… something like 50 cars full of warm clothes, maybe 40 boxes of cosmetics, many bags of toys, more than 40 books in Arabic, and many kilogrammes of sweets). We also collected some of the most important experiences in our life, while living under one roof with an awesome man from Syria and boys from Afghanistan, Montenegro, Mali and Guinea-Bissau (you know where it is, ha? we know, now!). We faced quite some hate of some people, but a lot, a lot of love too. From you too. Thanks for that, dear readers! 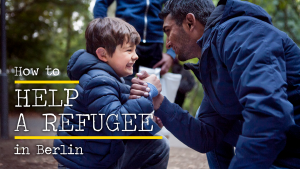 ← Previous Post: How to Help a Refugee in Berlin? → Next Post: Iran Trip with Kids and Family – a good Idea? You are truly a great human being. I like your peaceful mind. Hope your all wishes for the mankind will be successful very soon. Berlin Women for New Berlin Women Picnic! Refugees, taking action part 2! 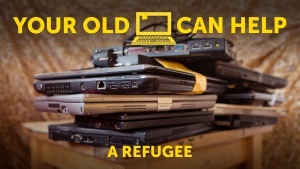 Call for... laptops! How to Help a Refugee in Berlin?